Part 3 of my gastronomic tour of Latin America and we have arrived in Peru. Having run through my top recommendations for what to do and where to go in Mexico in my last blog, it’s time to get back to food! Peruvian food was without doubt my favourite in Latin America. It includes influences from Peru’s indigenous Incan civilisation as well as that of European and Asian immigrants. The country’s landscape varies enormously and naturally this is reflected in Peruvian food. Whilst the Amazon is all about the fish and tropical fruits, you are more likely to find various types of stew and seafood on the menu in the Northern Coast. In the Peruvian Andes the staple foods are corn, potatoes and chilli peppers. 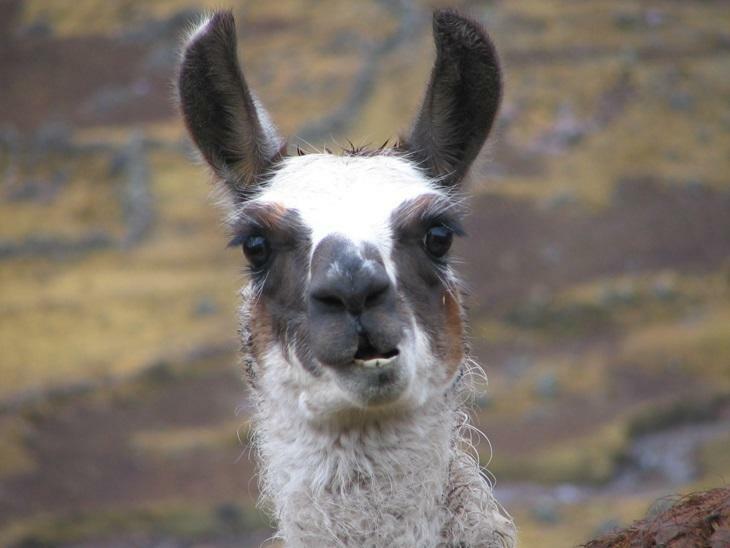 Indigenous animals such as alpaca, llama and even guinea-pig can also be found on the menu. Rocotos are among the oldest of Peruvian domesticated peppers, and were first grown up to 5000 years ago. You are unlikely to come across them in the UK, but a normal capsicum pepper will do just as good a job and can be found in any supermarket. Cut off the top of the peppers so that each has a small lid. Put this to one side and keep for later. Clean the inside of the pepper and remove any seeds with a knife. Check that the peppers will stand upright. You can always slice a thin layer off the bottom of the peppers to make them level, being careful not to create any holes through which the filling could seep. Heat the oil in a frying pan. Fry the onions, red chilli pepper, garlic and cumin for about a minute over medium-high heat until they start to soften. Add the minced meat and season with salt and pepper. Fry until the meat is browned, then add the crushed peanuts and tomato ketchup. Finally, add the boiled eggs and stir. Fill the capsicum peppers with the meat filling, leaving a small space at the top. In another bowl, mix the grated cheese, evaporated milk and two beaten eggs together. Season with salt and pepper. 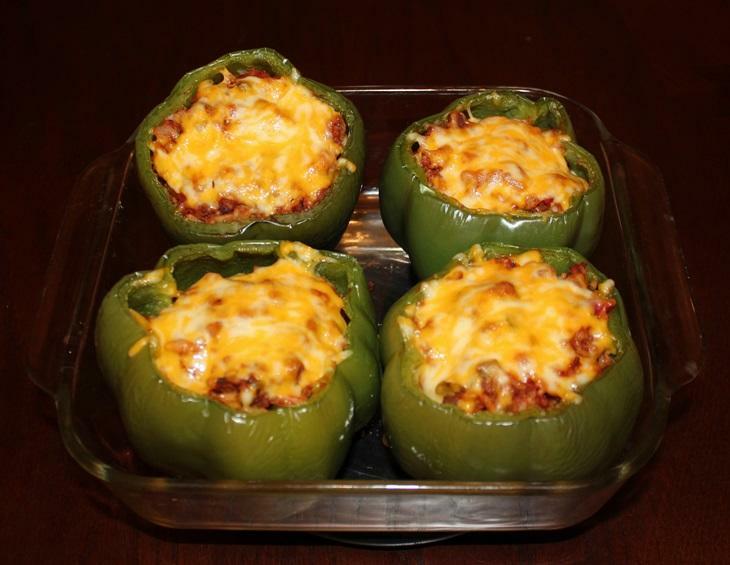 Finally place the stuffed peppers on an oven tray and pour a spoon of the cheese mix into the space you left above the filling. Add the lid of the pepper. Cook in the pre-heated oven for forty minutes. In my opinion the rocoto rollenos are best served with home-made mashed potato and some cheese sauce drizzled over the top. I have included the recipe for the cheese sauce below. Place the cold semi-skimmed milk in a saucepan. Add the butter and plain flour and heat to boiling point, gently whisking all the time until thickened. Turn the heat down to low. Season with salt, pepper and nutmeg powder. Add the English mustard, grated cheddar cheese and stir to blend. Continue to heat on a low heat for 1 minute until thickened and smooth. So now to Bolivia and the next stop on our gastronomic tour. Before heading off though, when in a country with food this good it would be wrong not to see what else Peru has to offer the adventurous traveller. Whether you are planning a holiday, volunteering in Peru, or simply looking for traveling ideas, check out my next blog for my top things to see and do in Peru. It would be great to hear your feedback. What Peruvian food have you tried? Have you made rocoto rollenos using this recipe? Have you got a recipe that you think other readers would enjoy? Please leave your comments below.